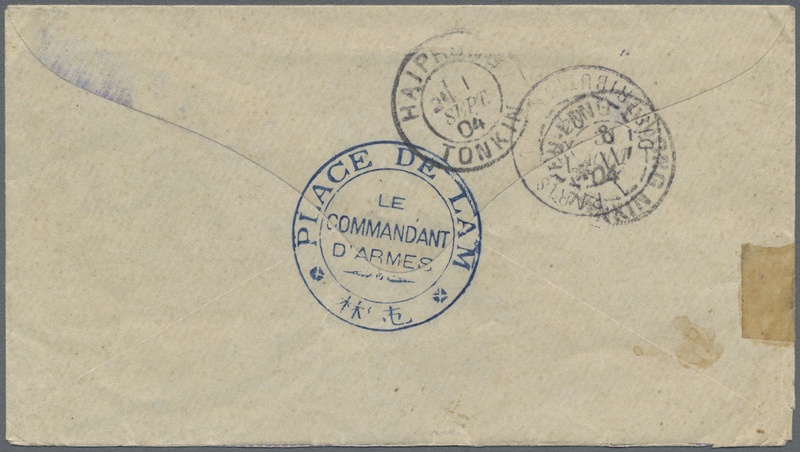 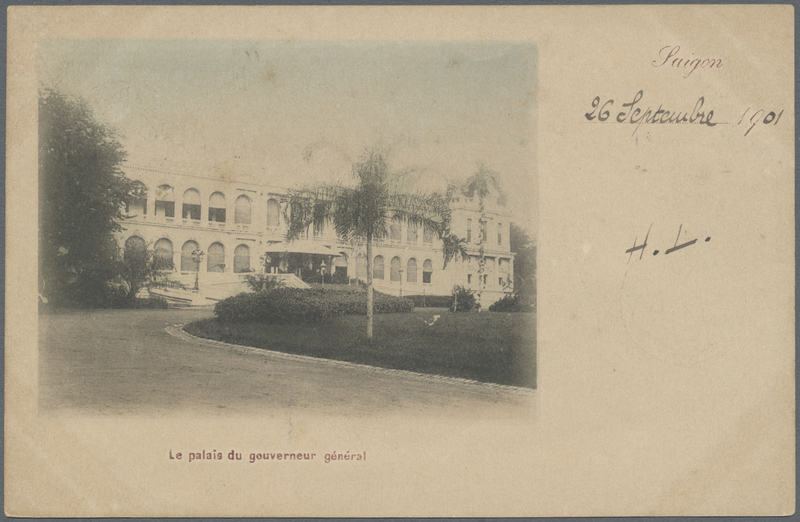 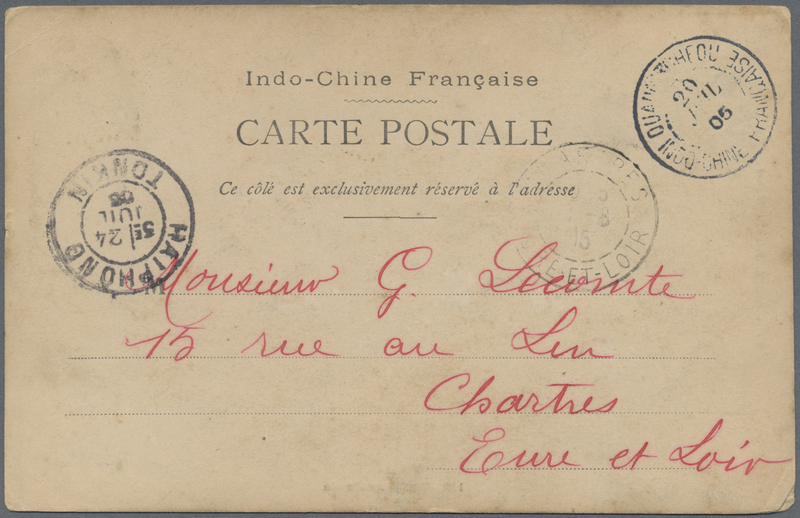 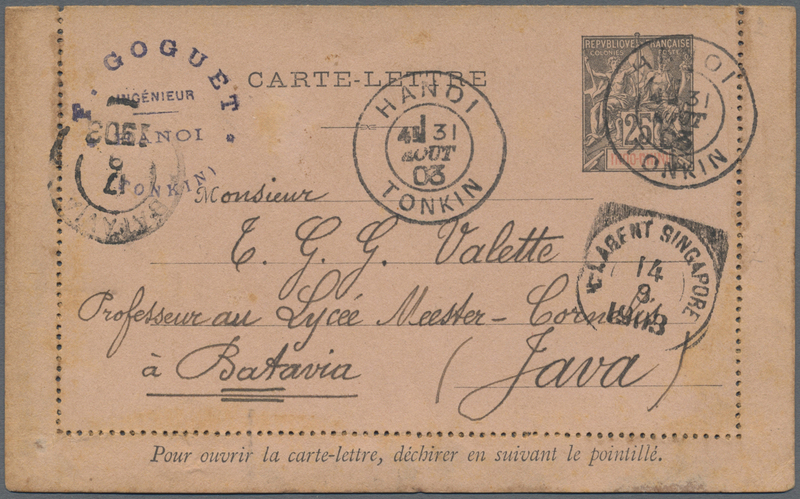 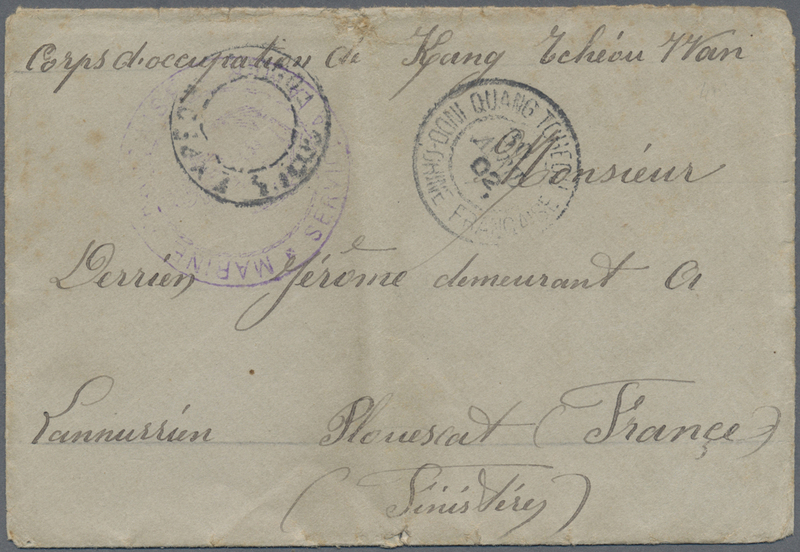 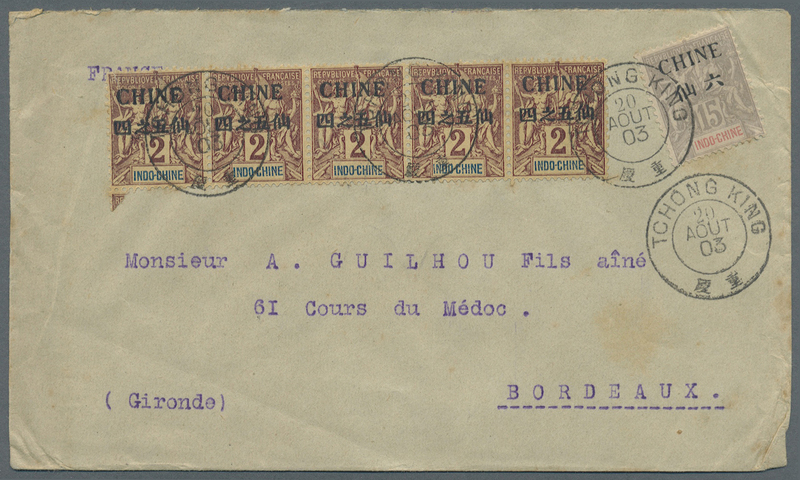 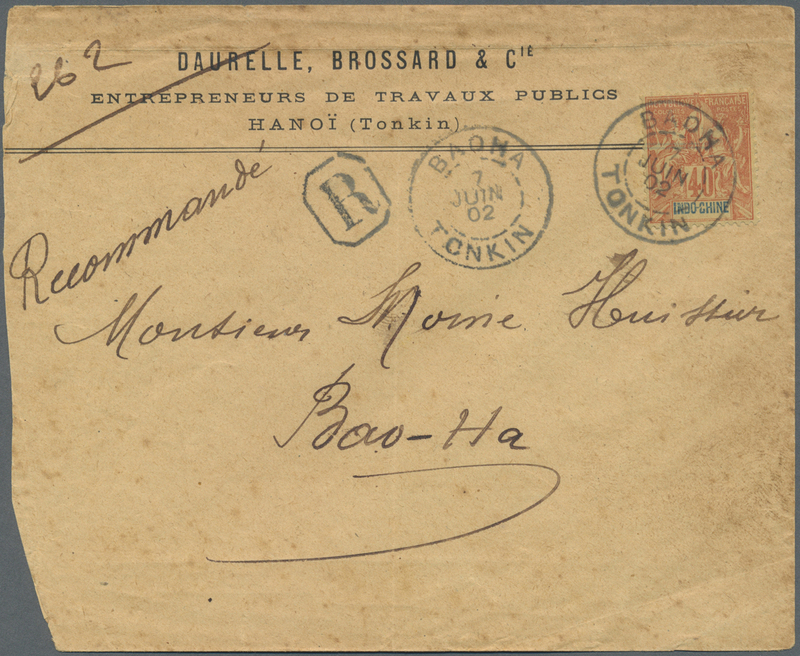 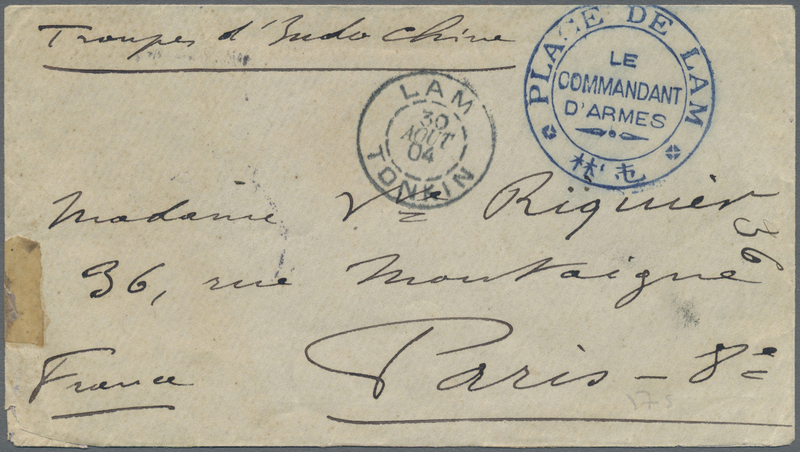 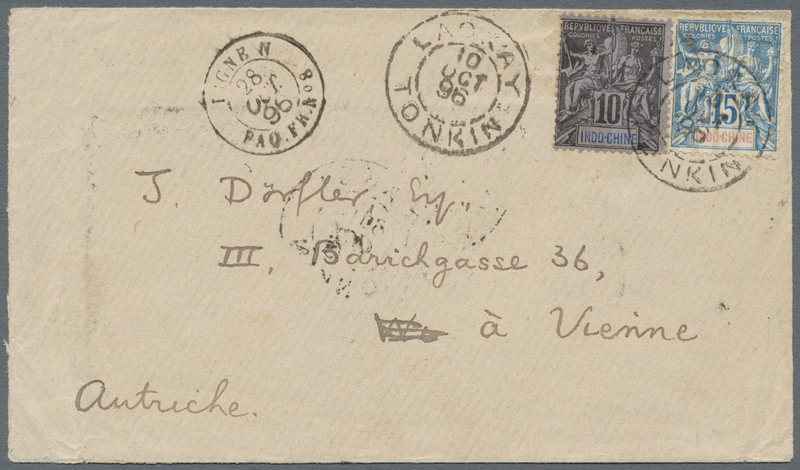 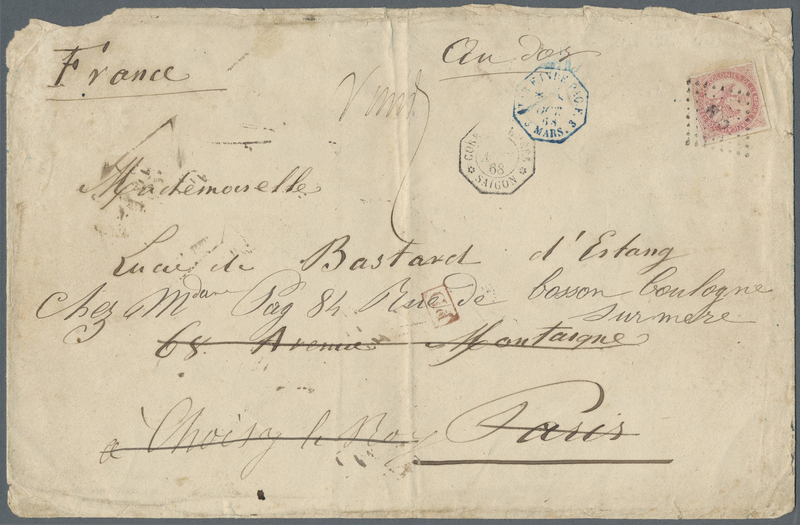 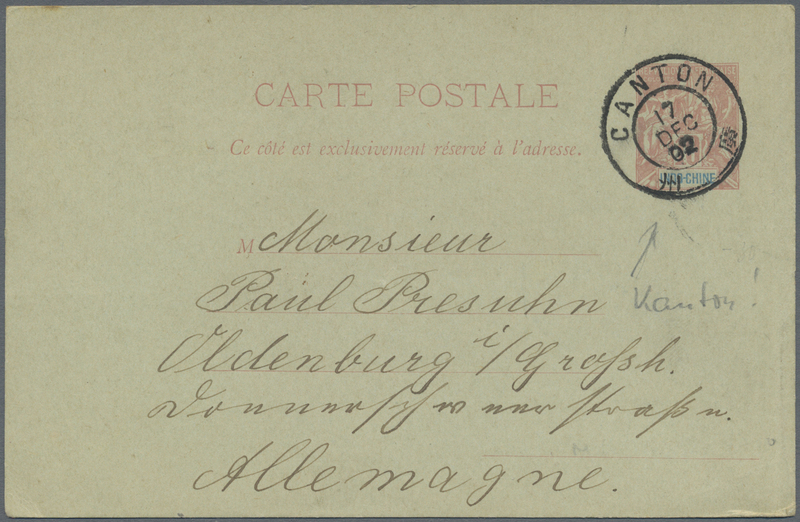 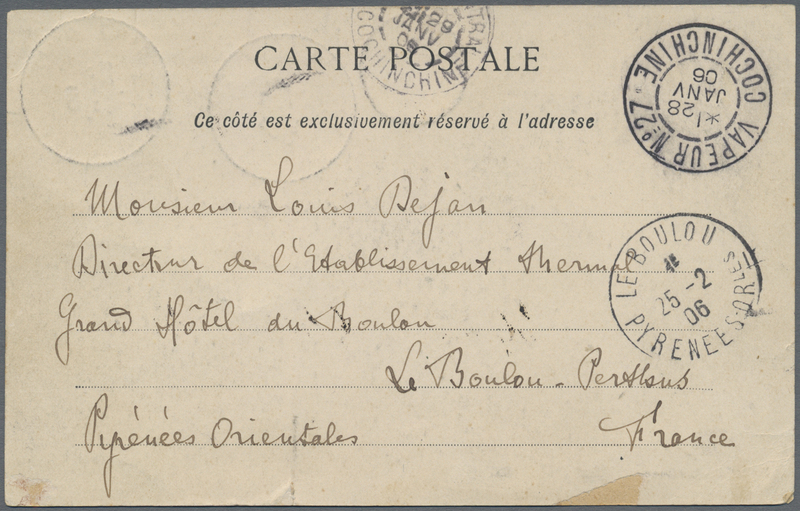 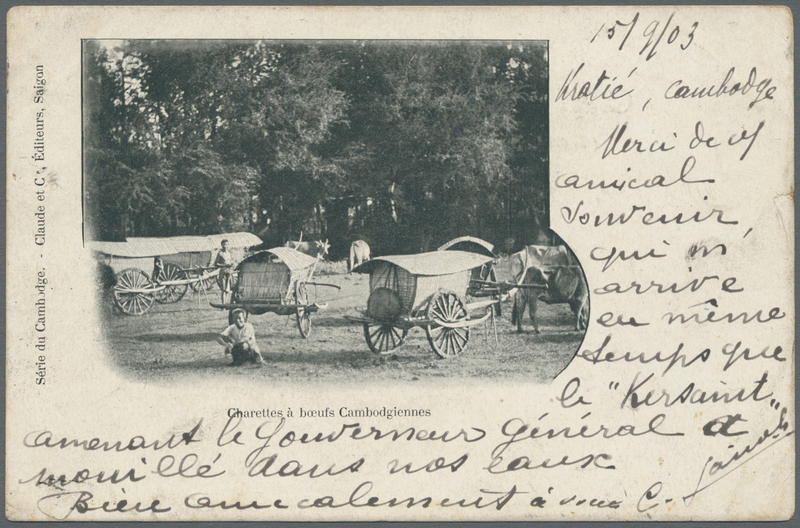 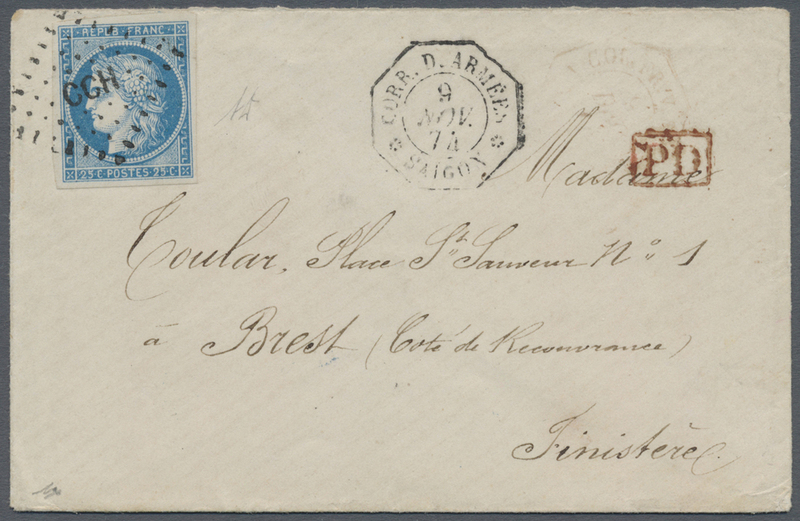 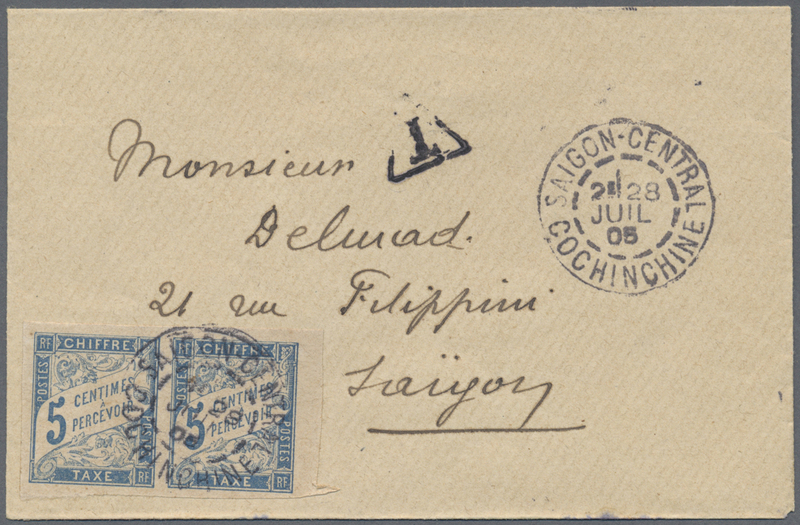 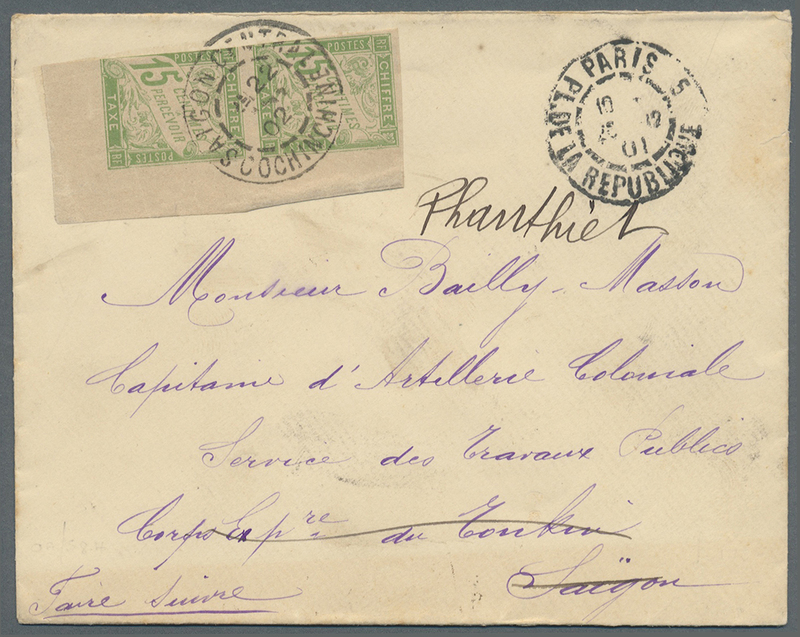 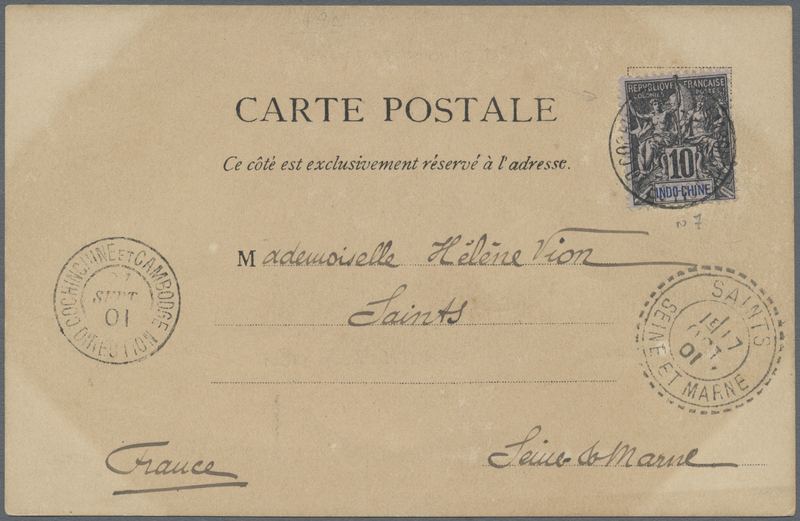 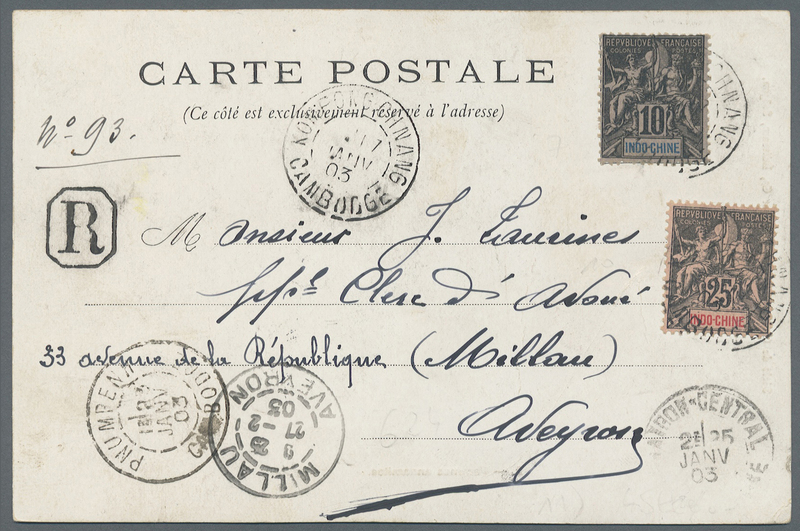 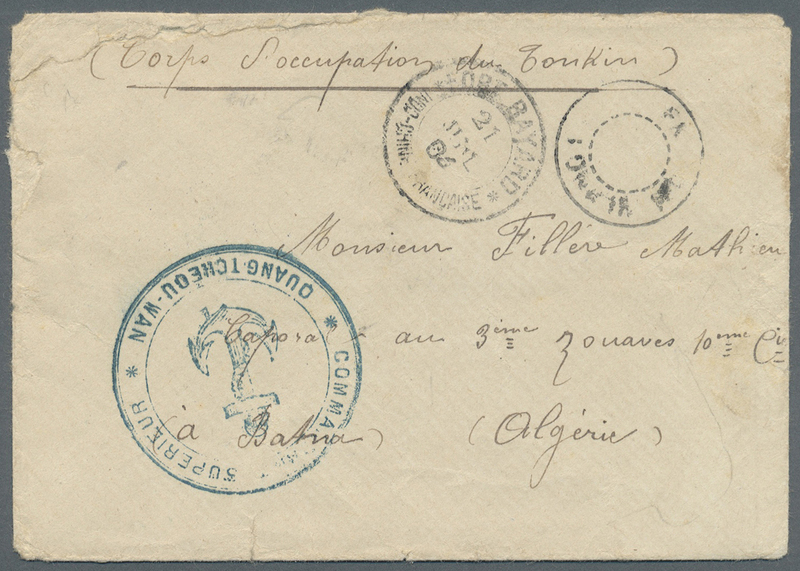 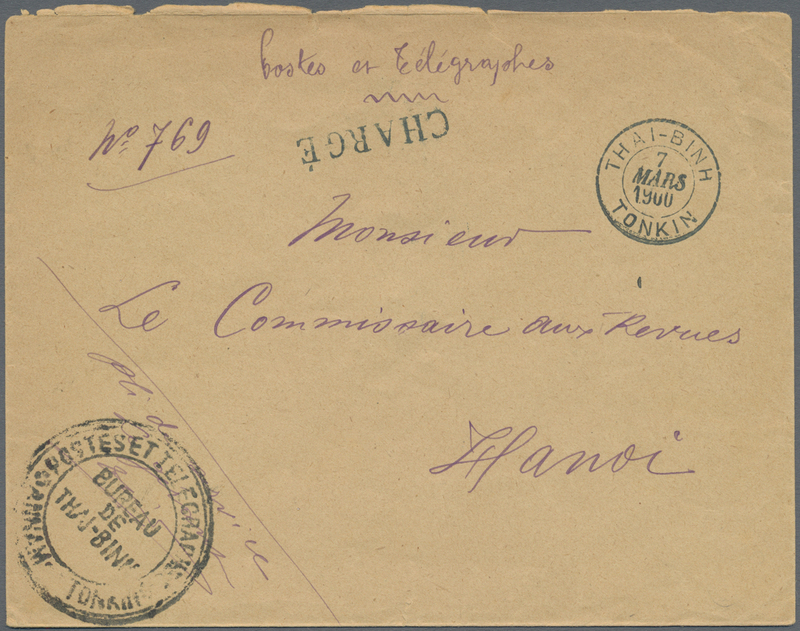 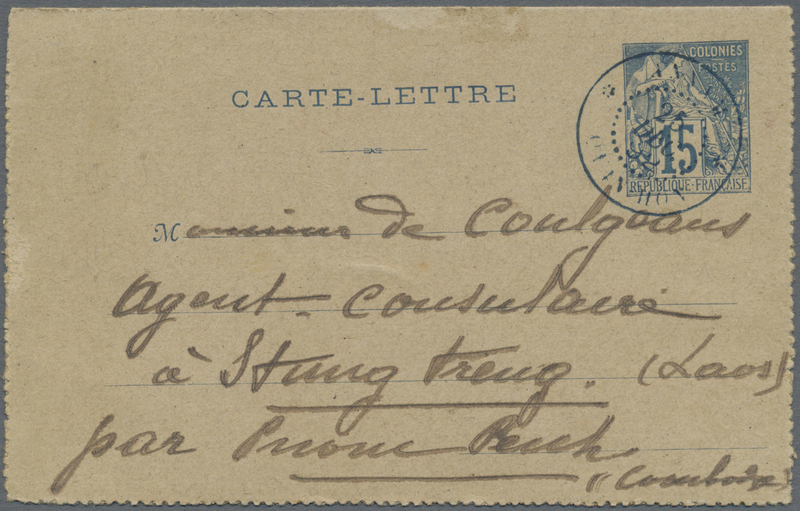 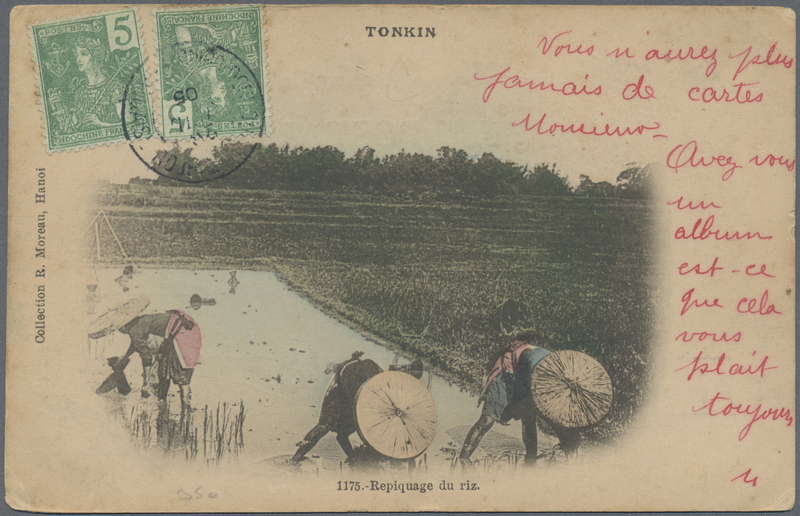 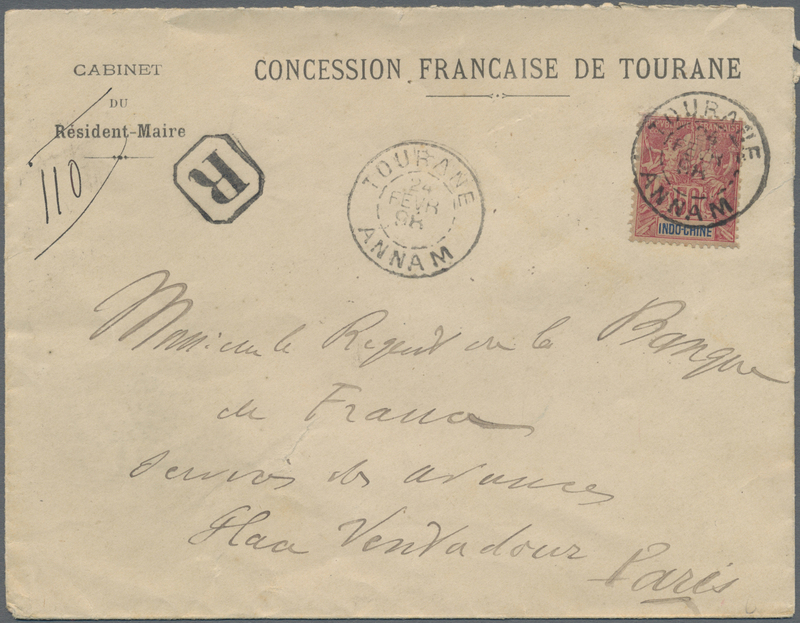 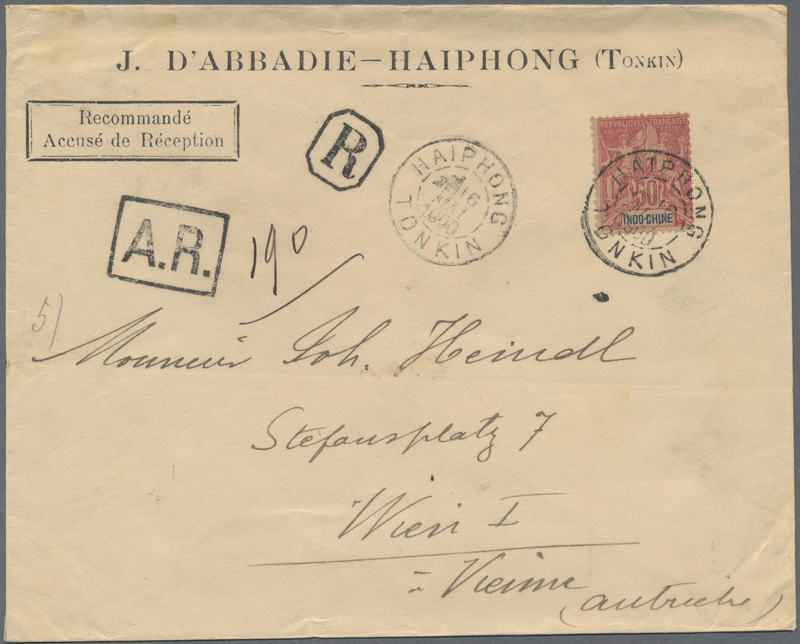 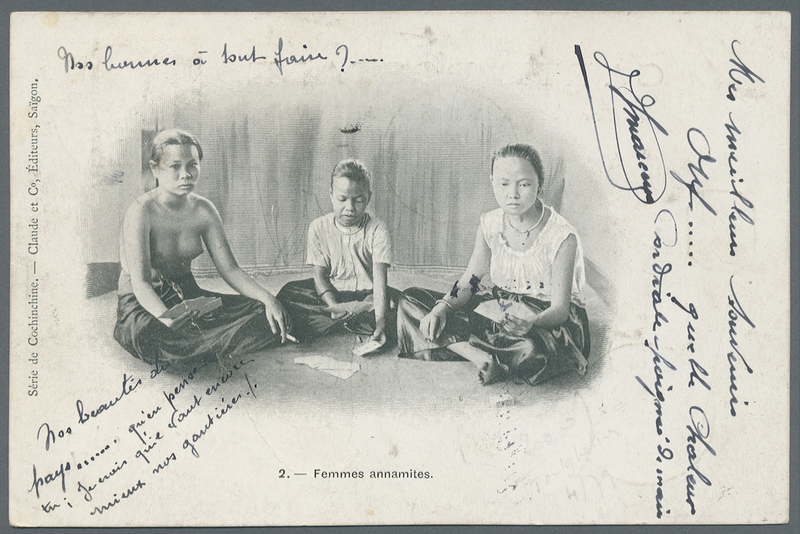 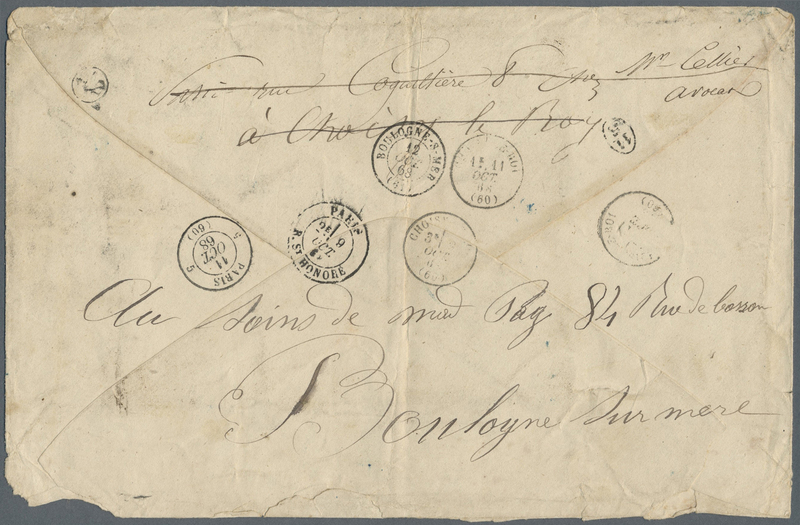 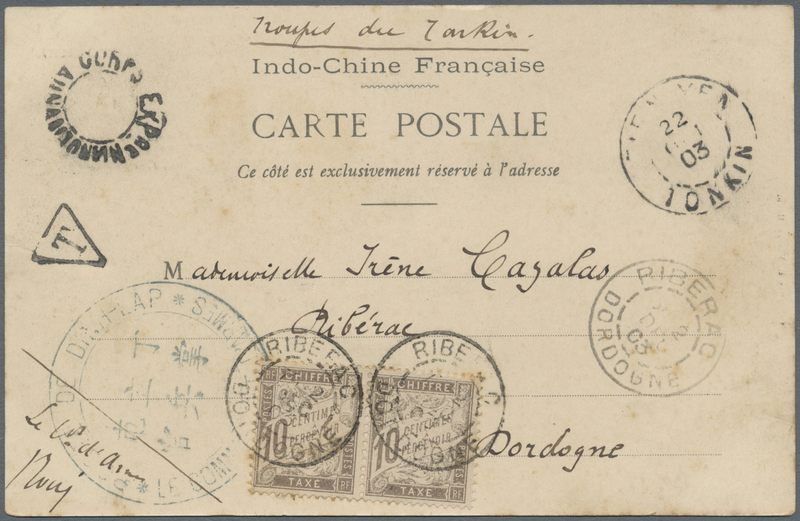 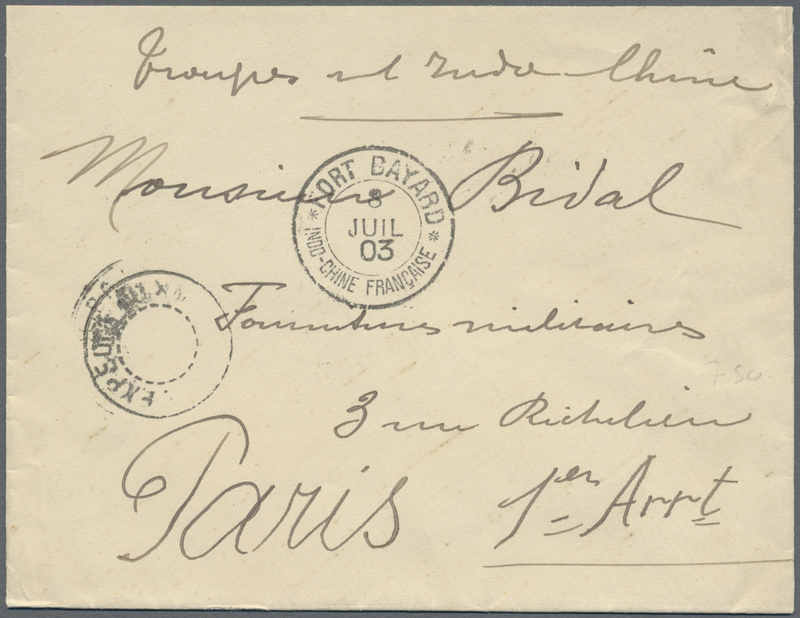 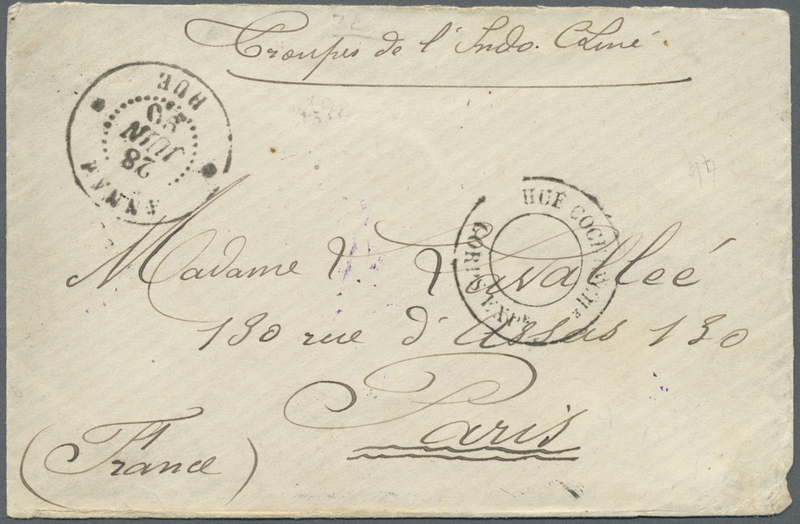 7353 Brief (cover) French Col. 19 1874 Military cover from Saigon to Brest, France via Marseille, franked by French Colonies 25c. 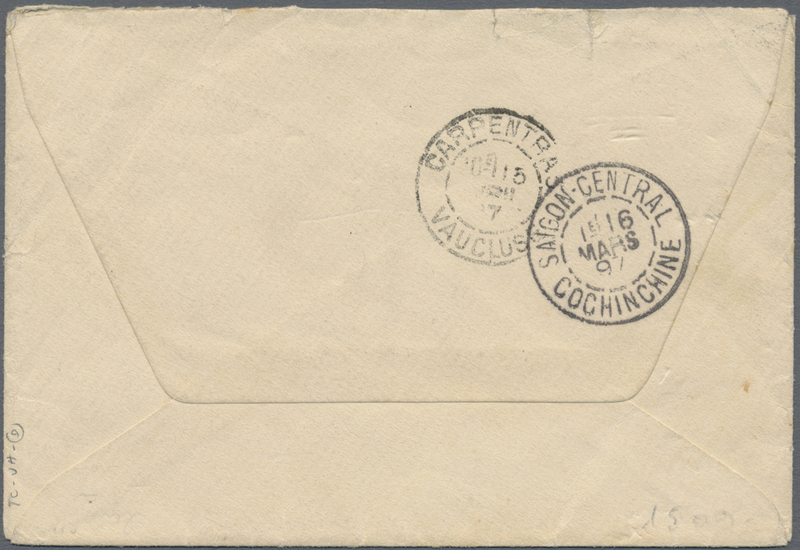 blue, imperf, tied by "CCH" Cochinchina h/s in diamond of dots, with octagonal "CORR. 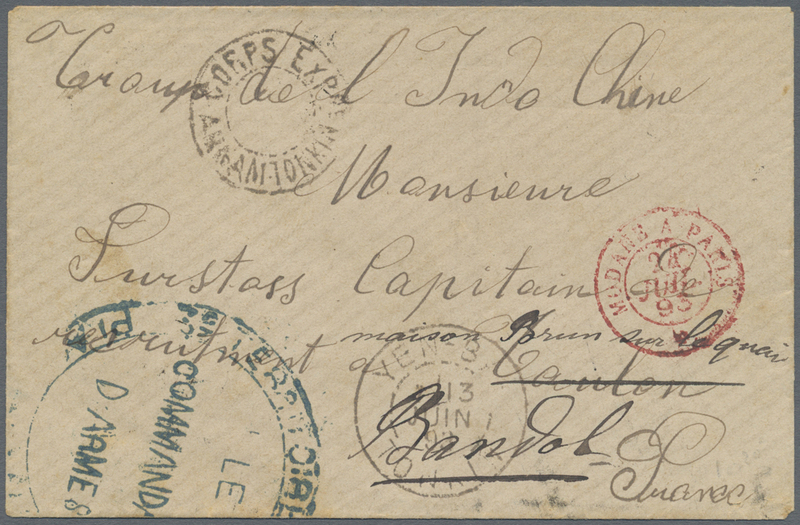 D. ARMÉES SAIGON/9/NOV./74" despatch d/s in black, red boxed "PD" and red octagonal French maritime d/s alongside, large circled French Military 'Anchor' h/s in blue as well as transit and arrival datestamps on the reverse, fine, signed Diena. 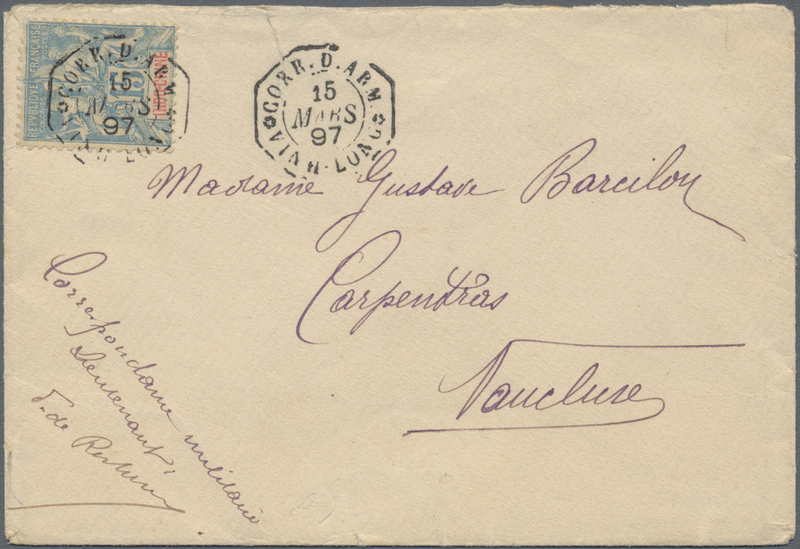 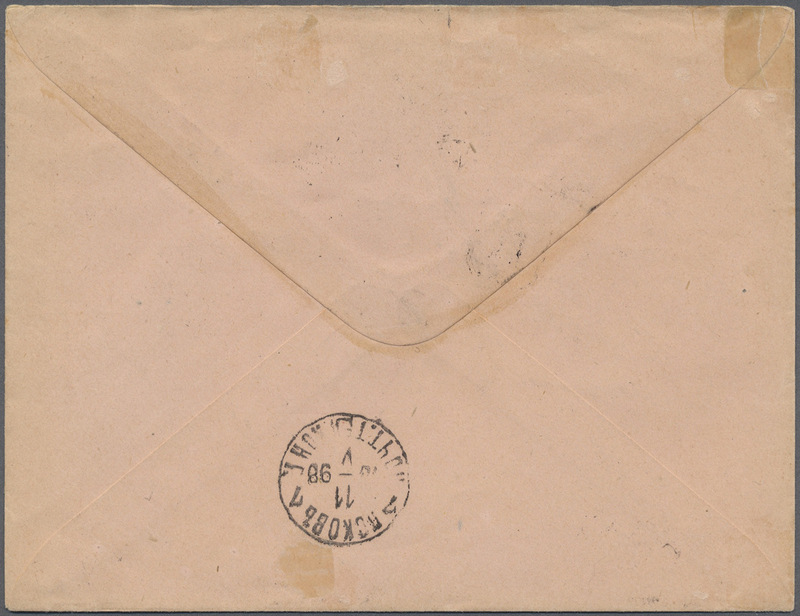 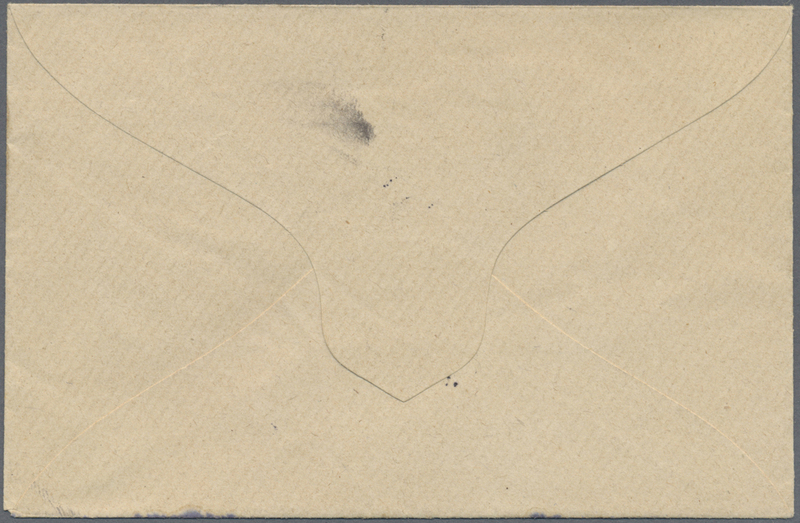 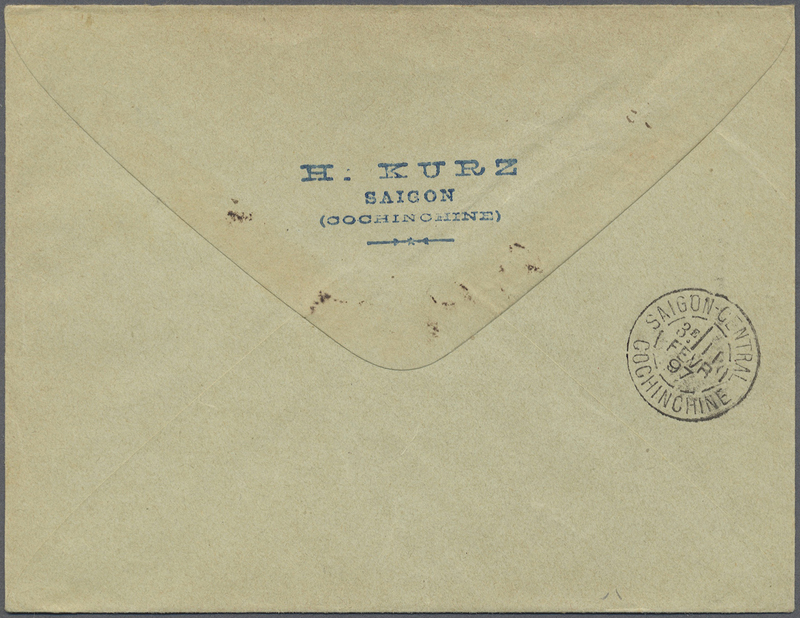 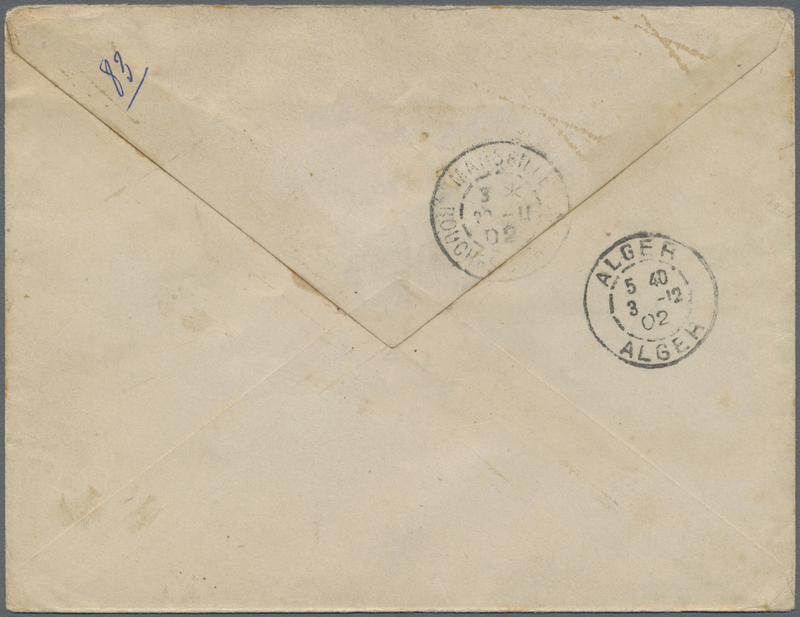 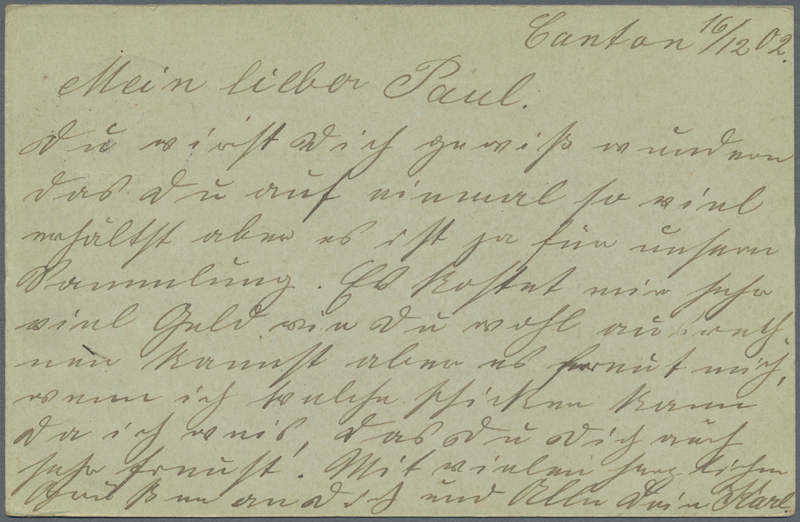 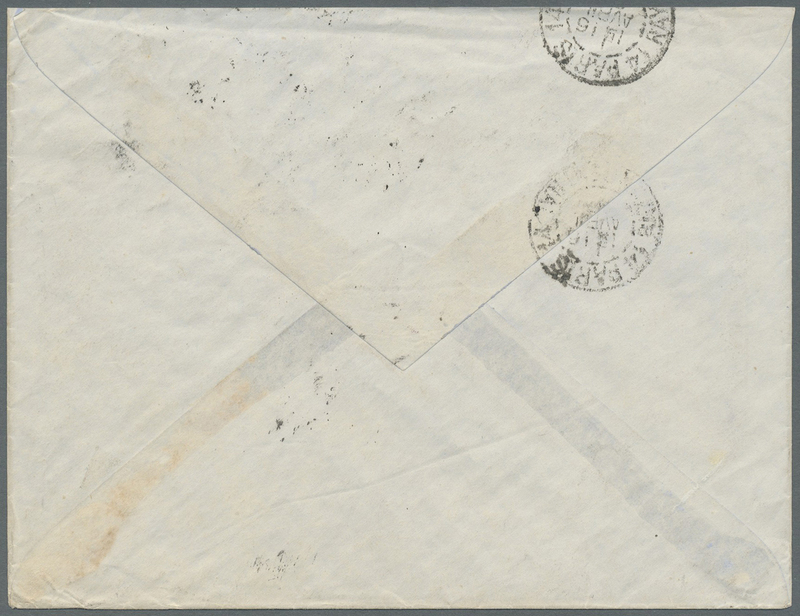 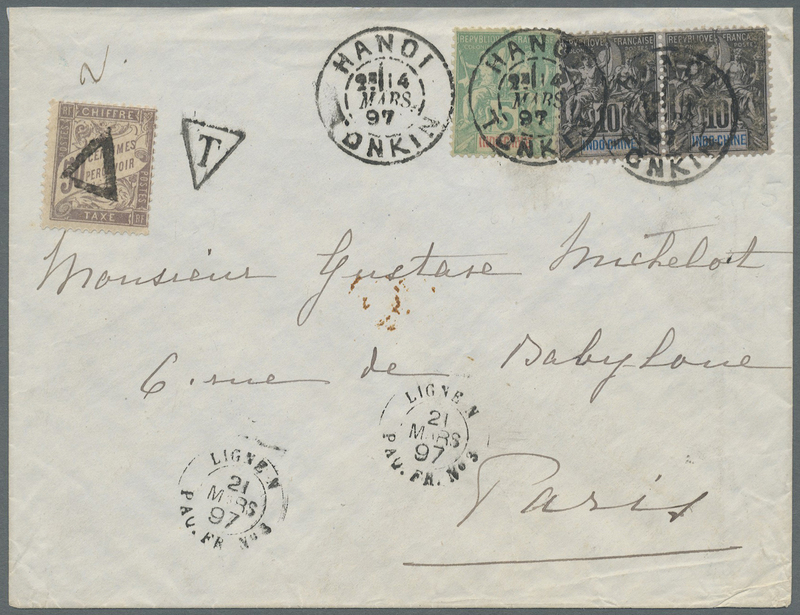 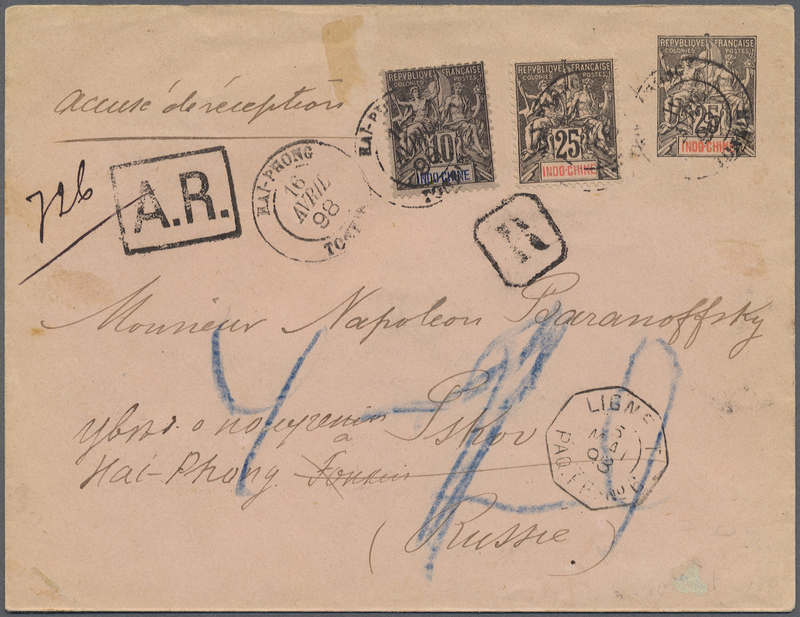 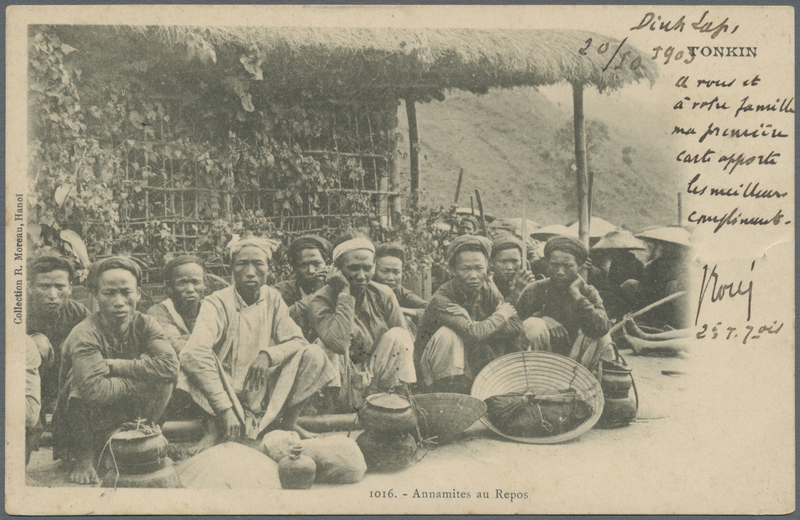 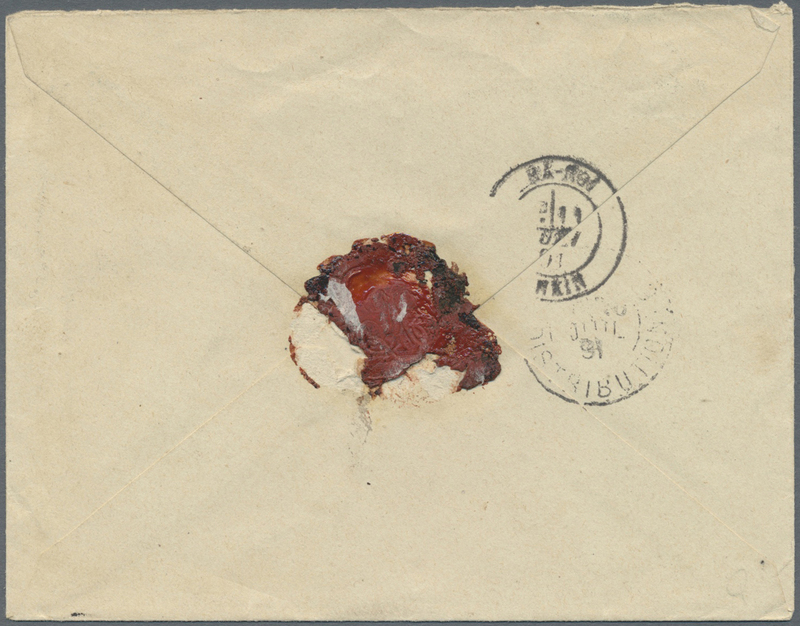 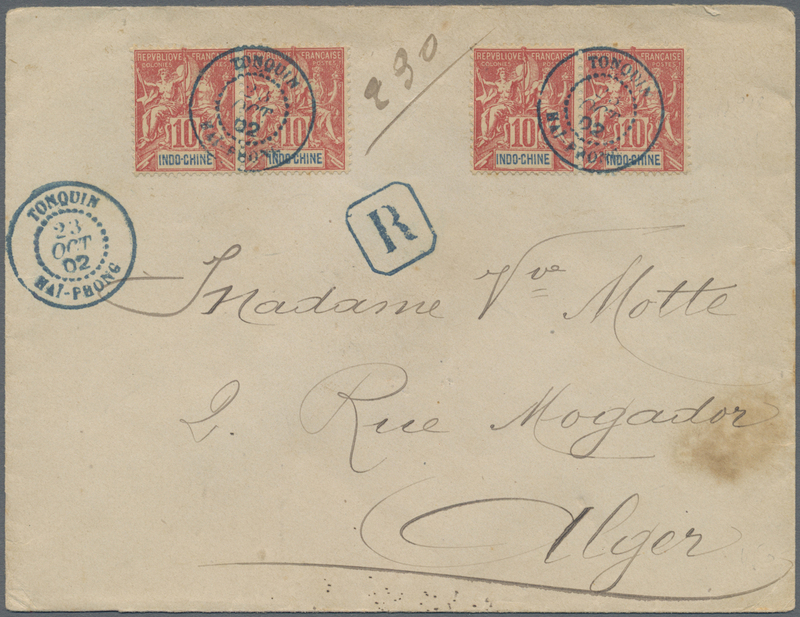 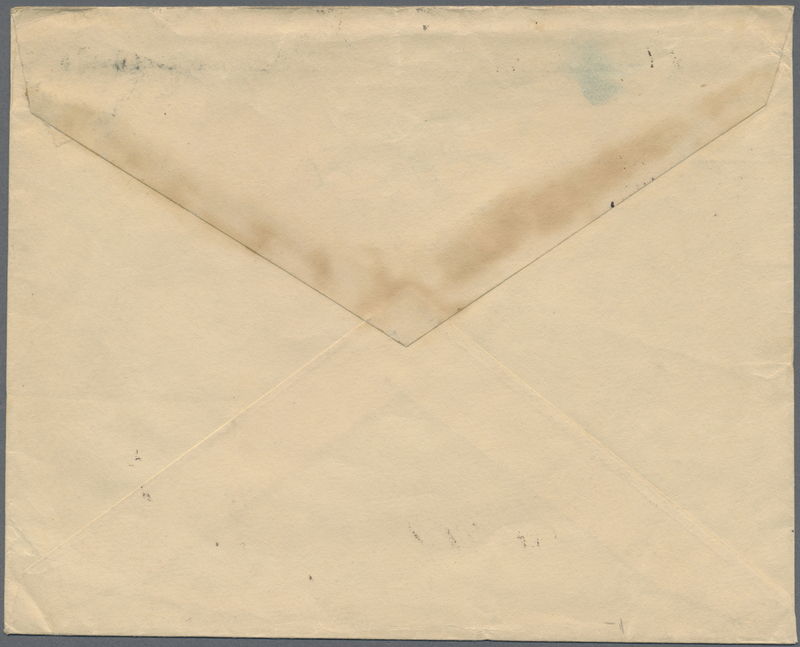 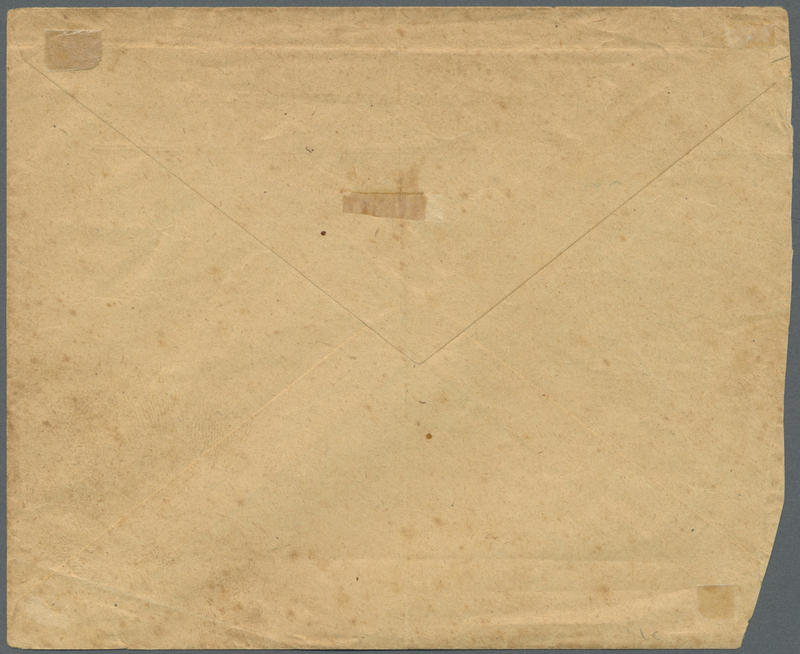 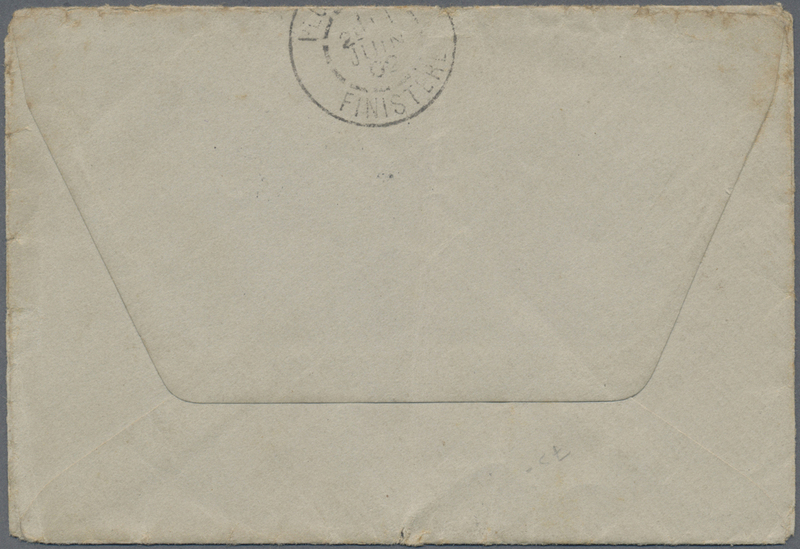 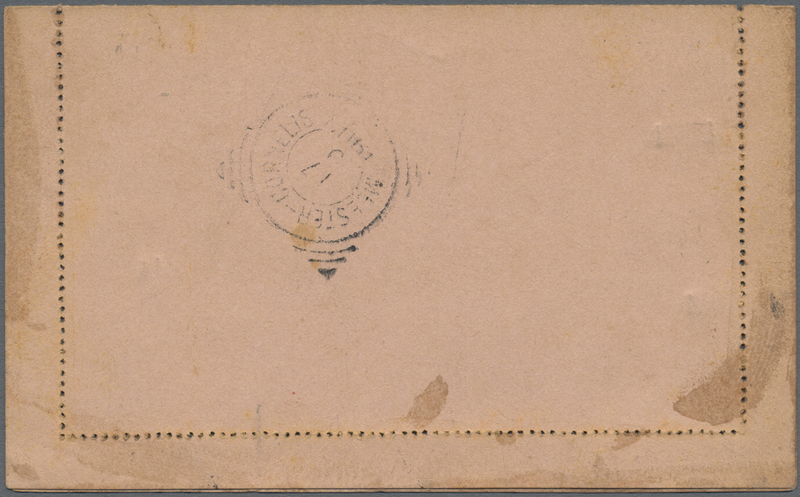 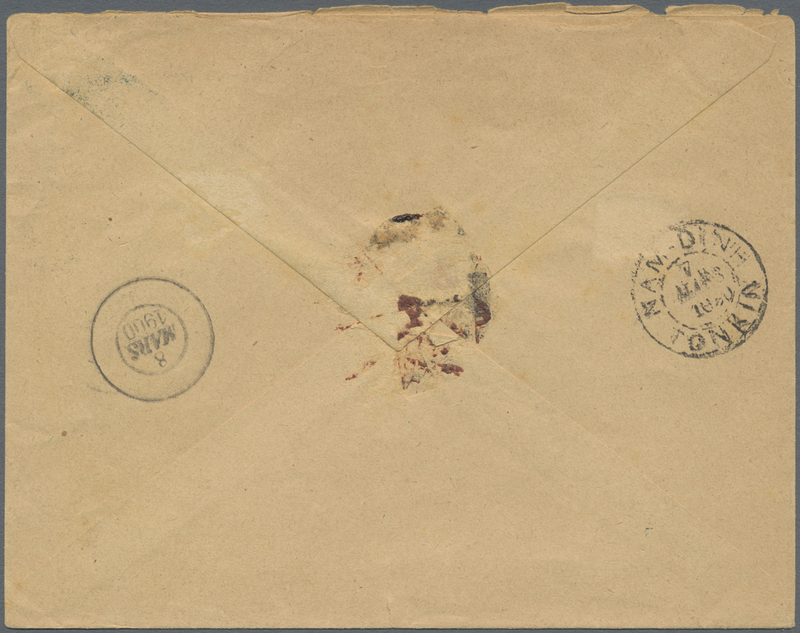 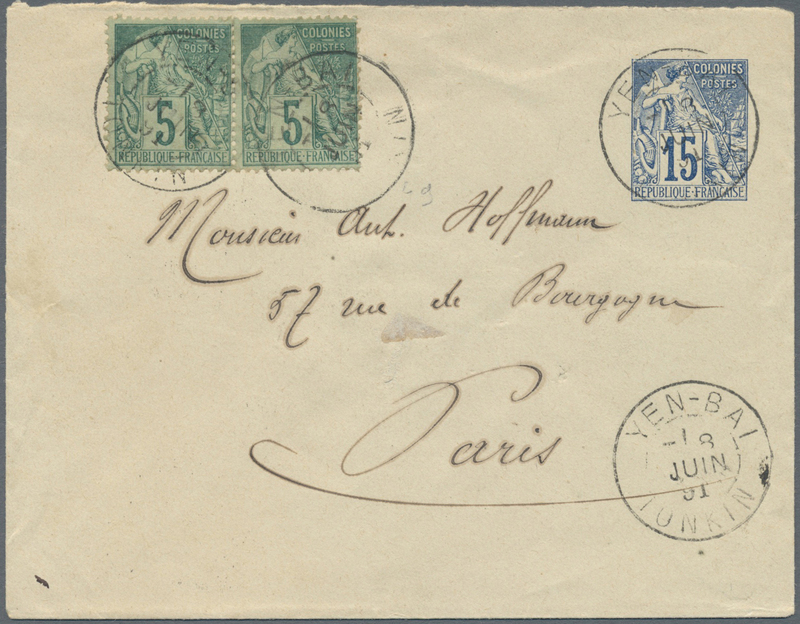 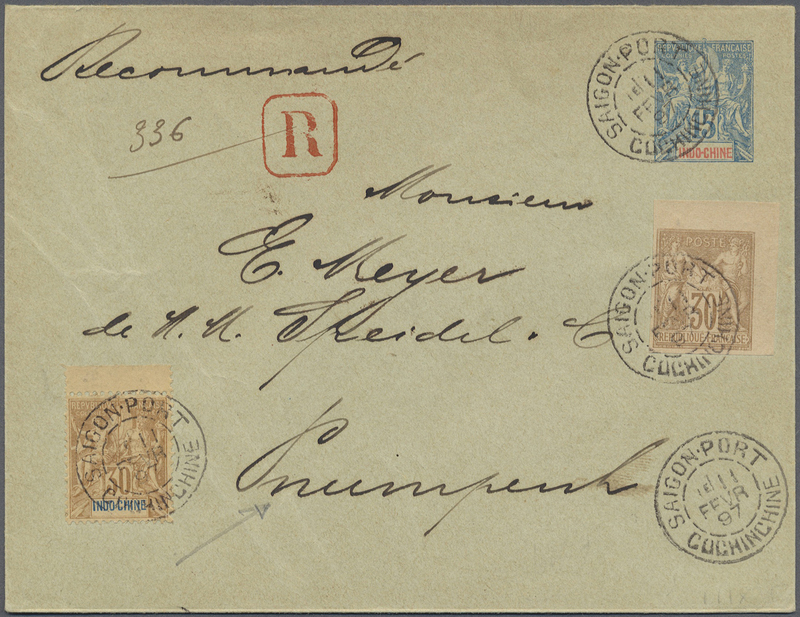 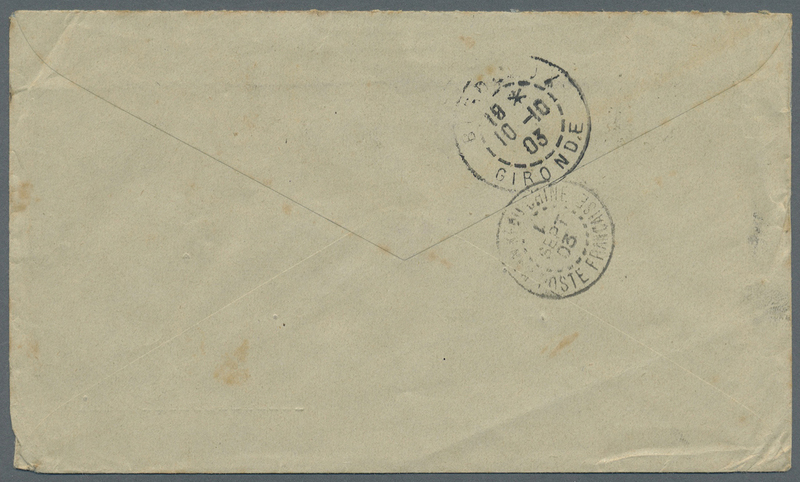 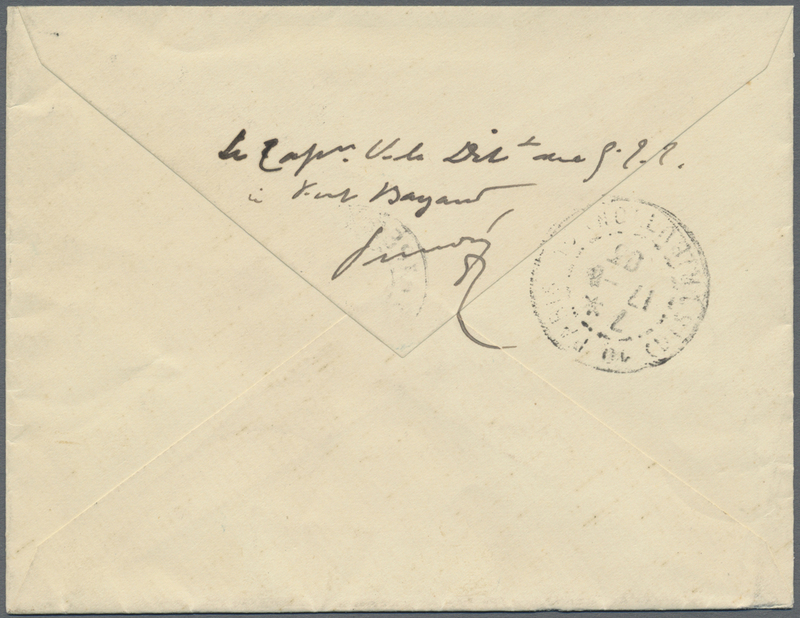 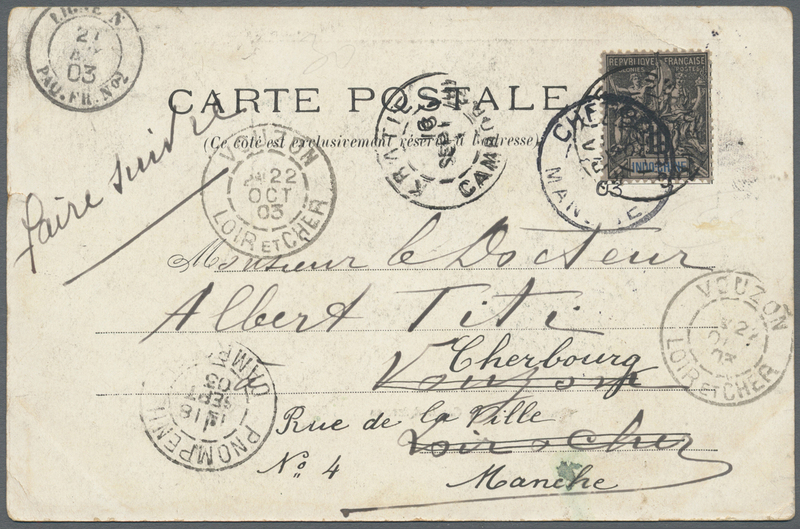 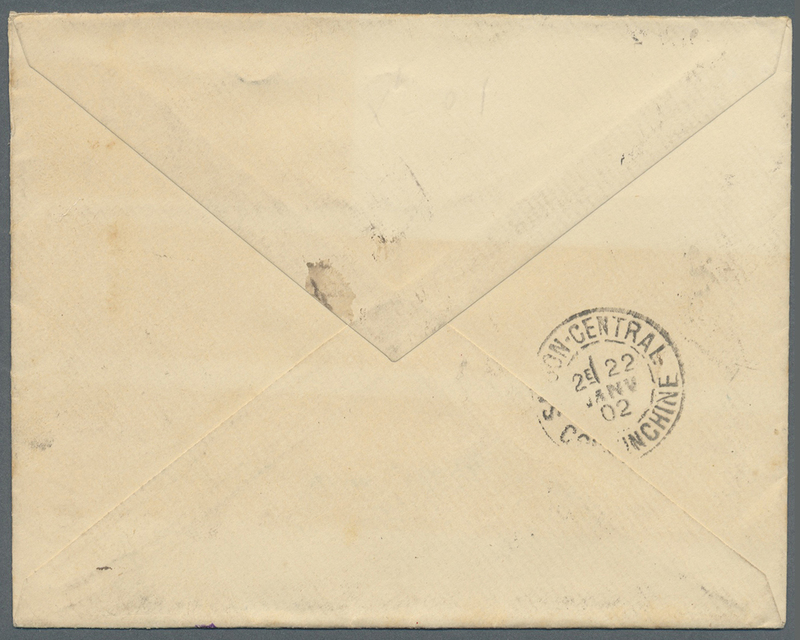 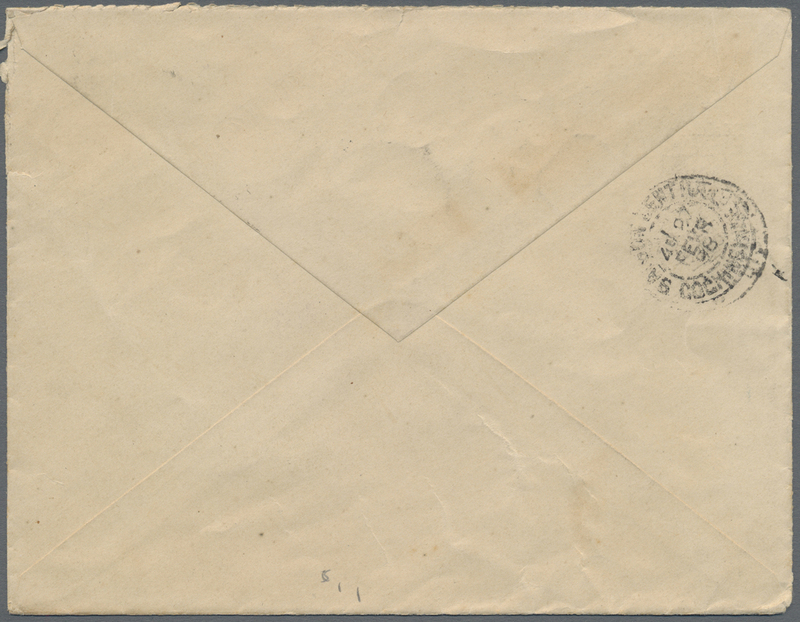 7382 Brief (cover) 3/4 (2), 5/7 1904. 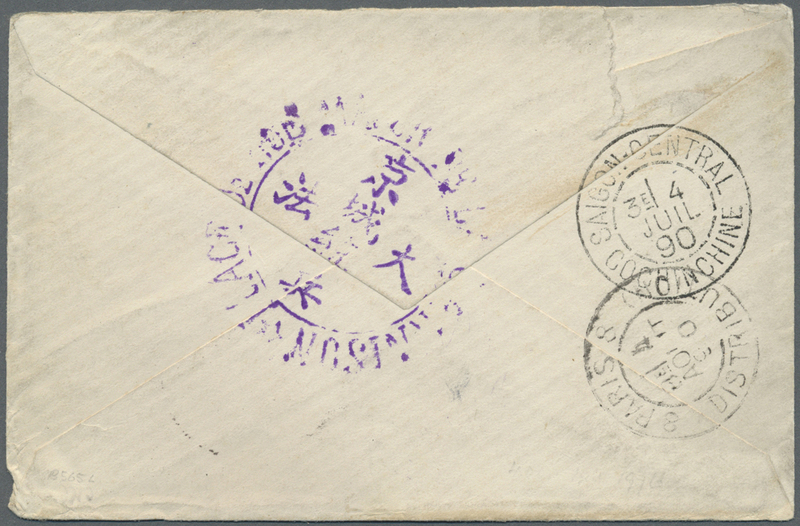 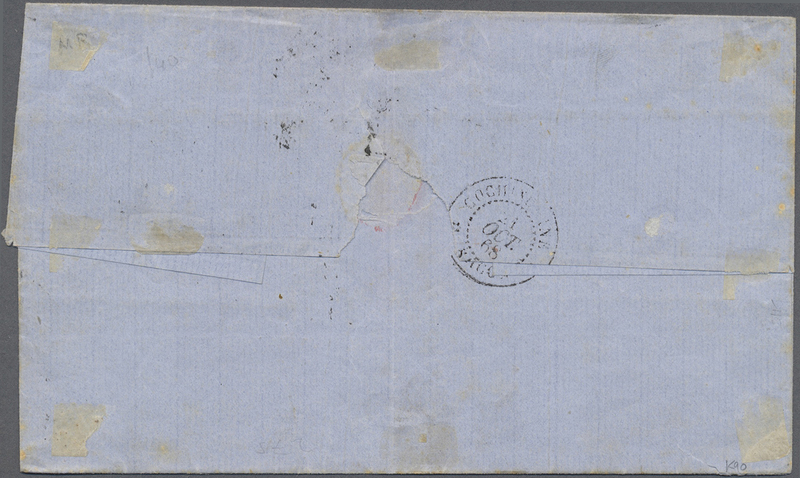 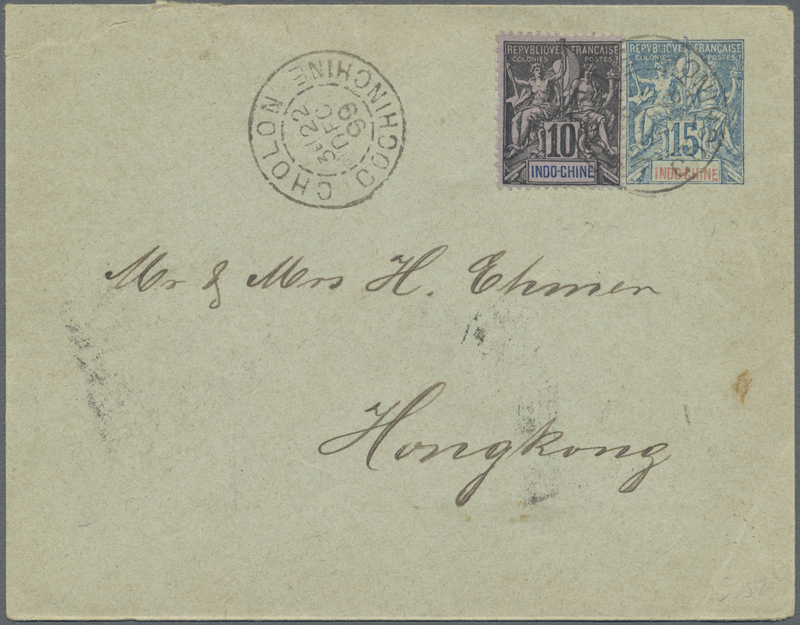 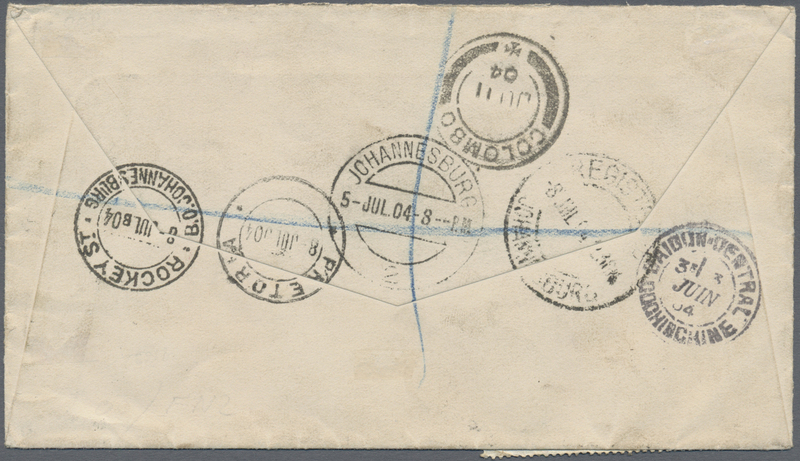 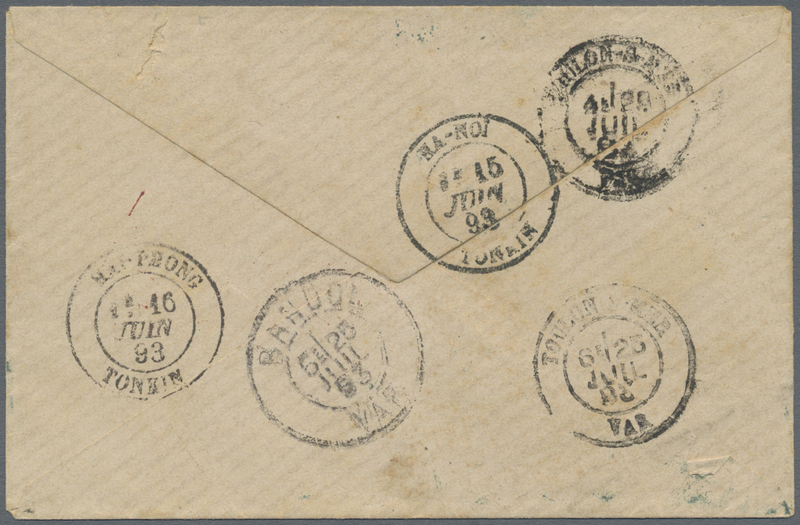 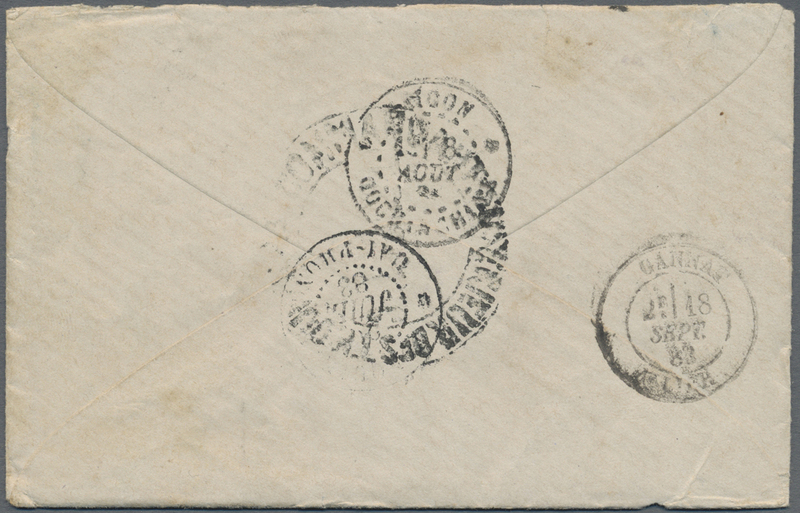 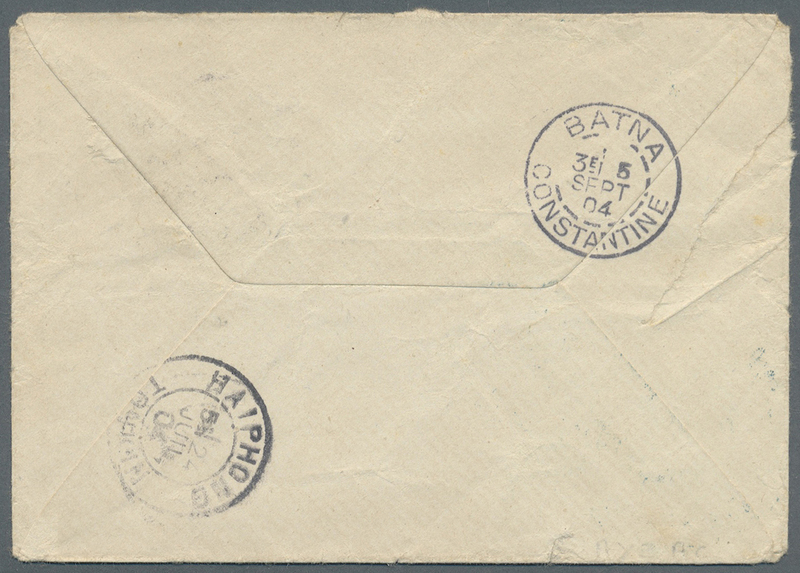 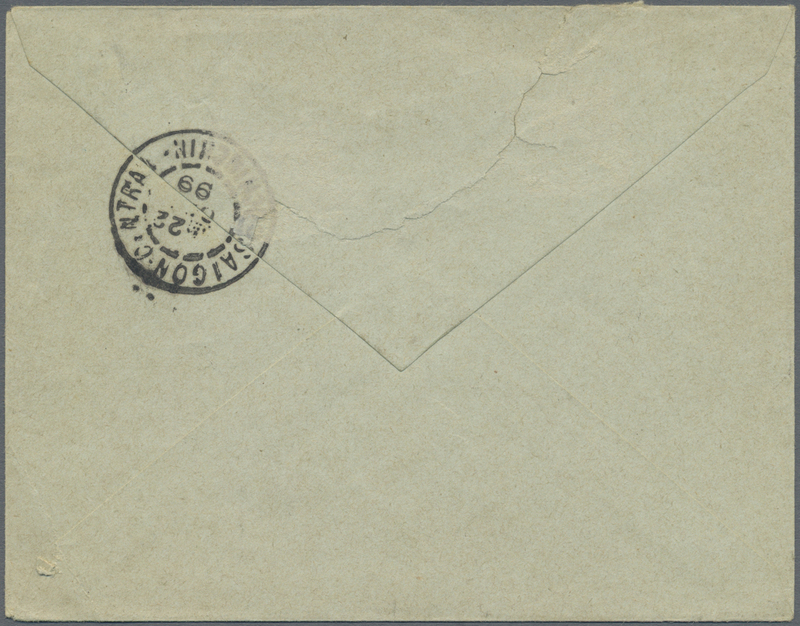 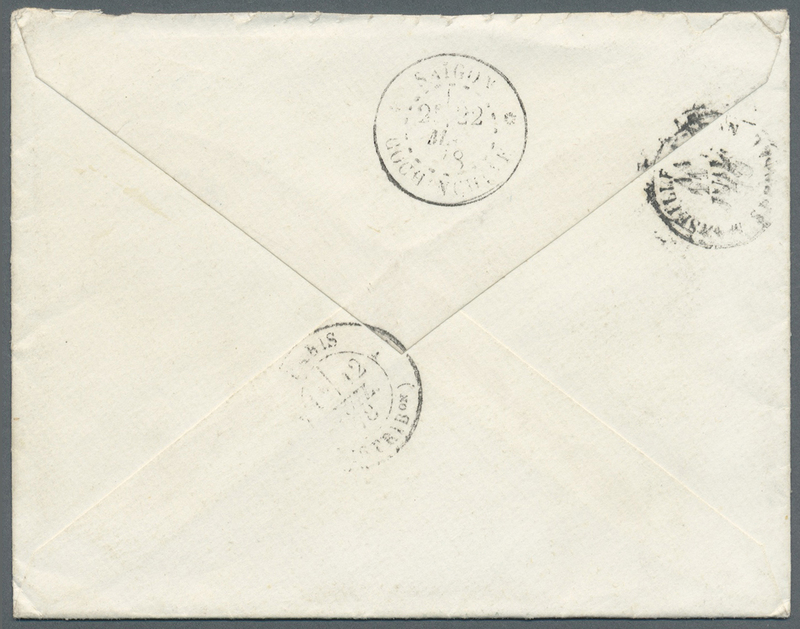 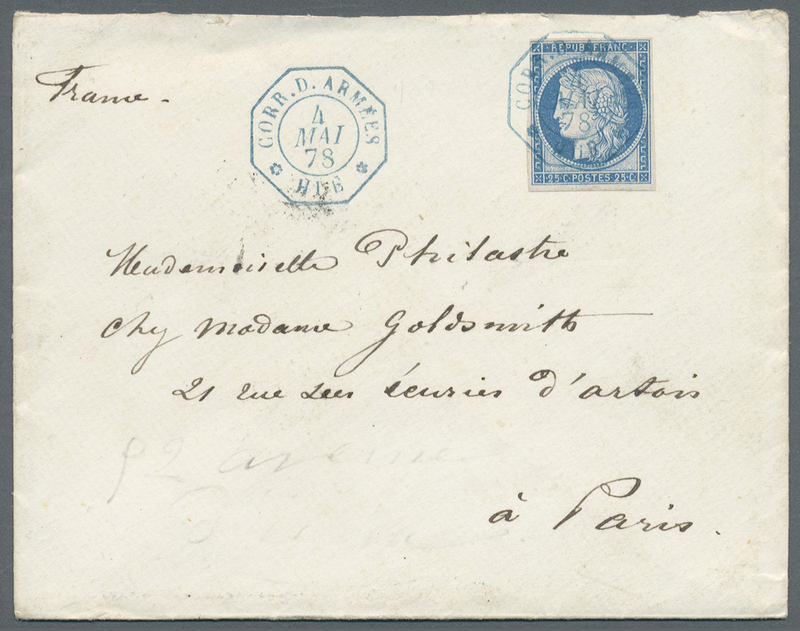 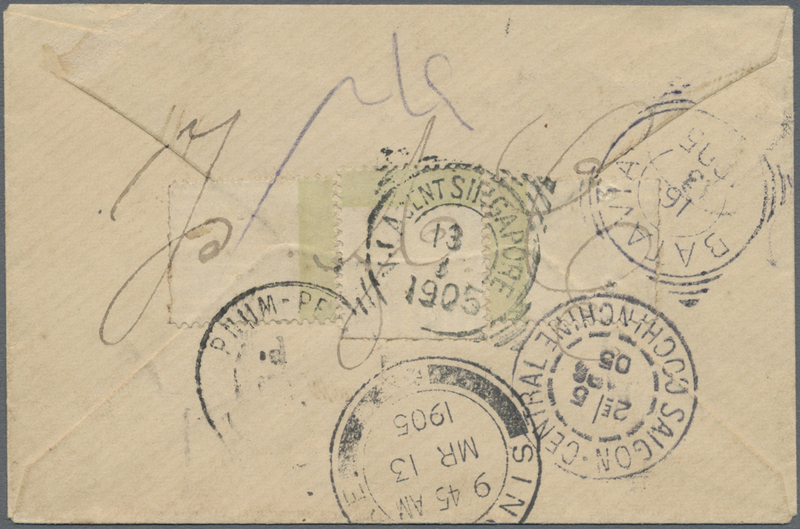 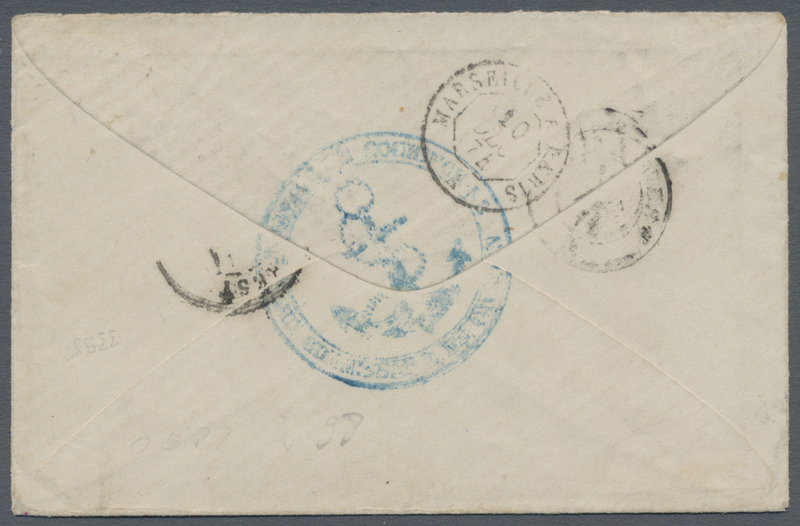 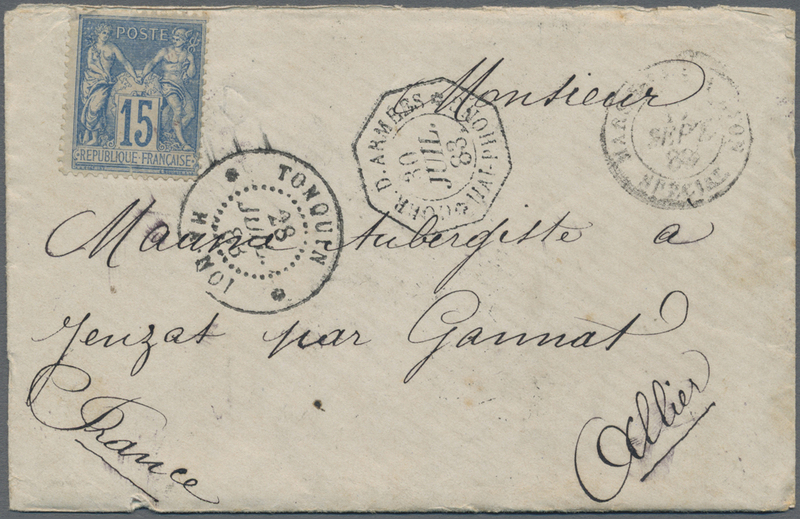 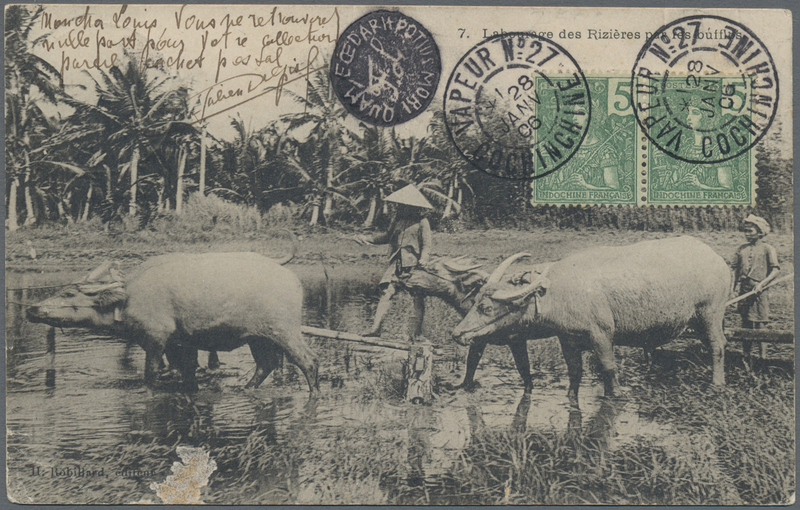 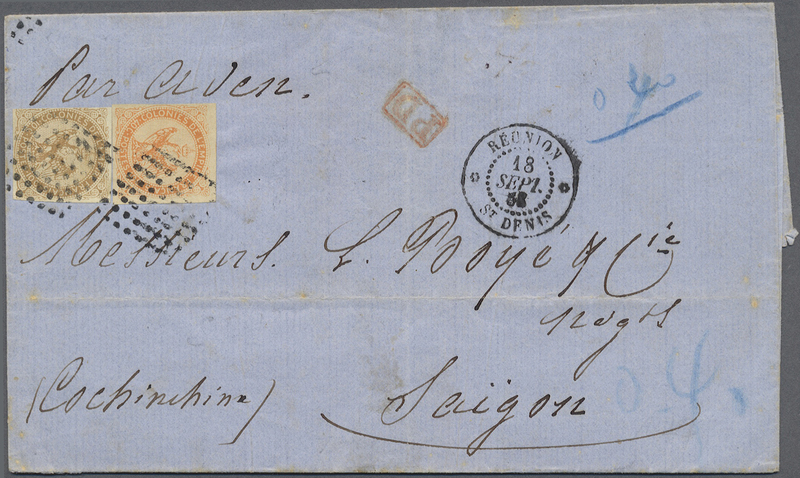 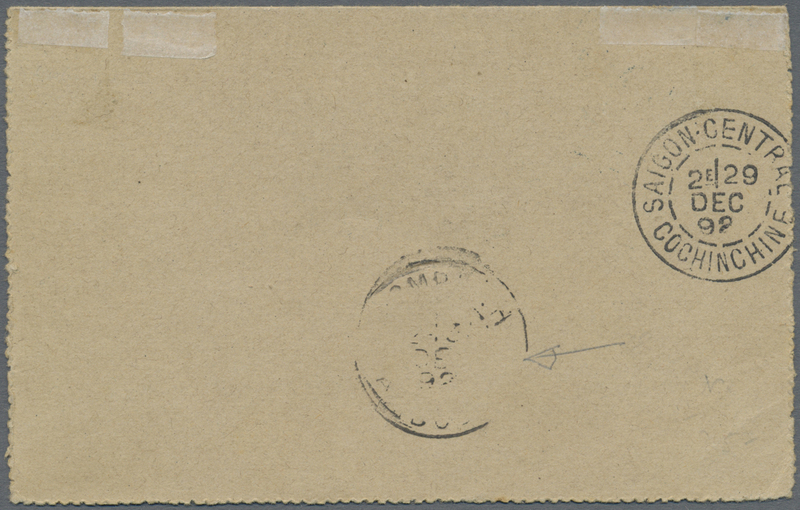 Registered cover from ”Saigon Port 3.6.04” with attractive franking to Johannesburg, redirected to Pretoria. 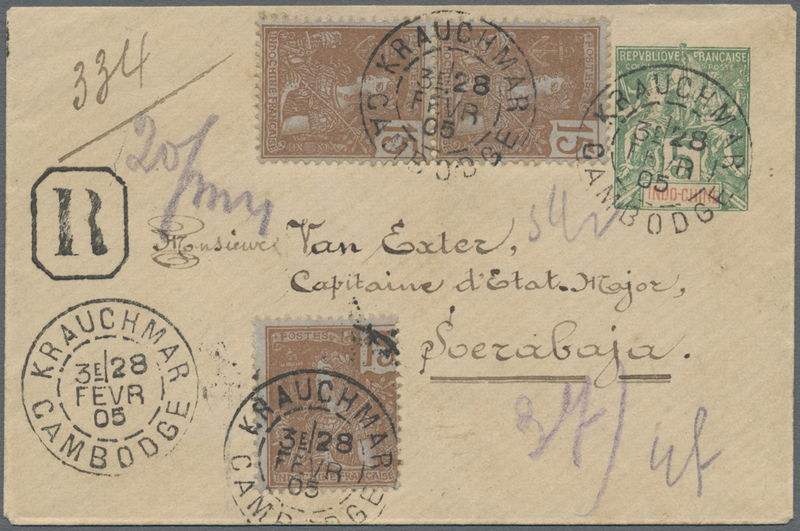 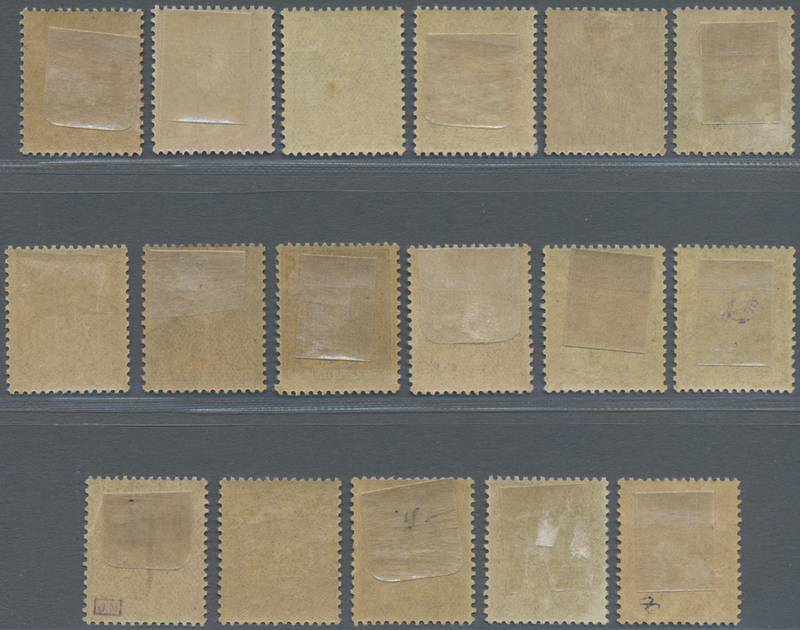 Franked with horizontal piar KEVII 2 1/2 C. grey/blue, tied by cds. 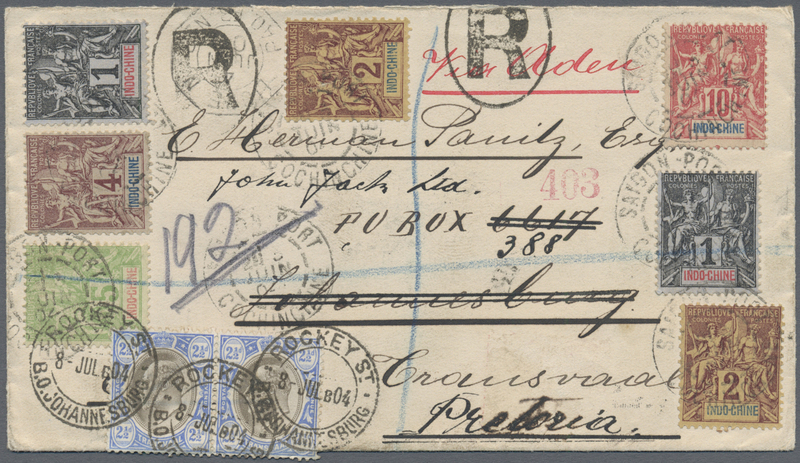 ”Rockey Street Johannesburg 8.7.04”. 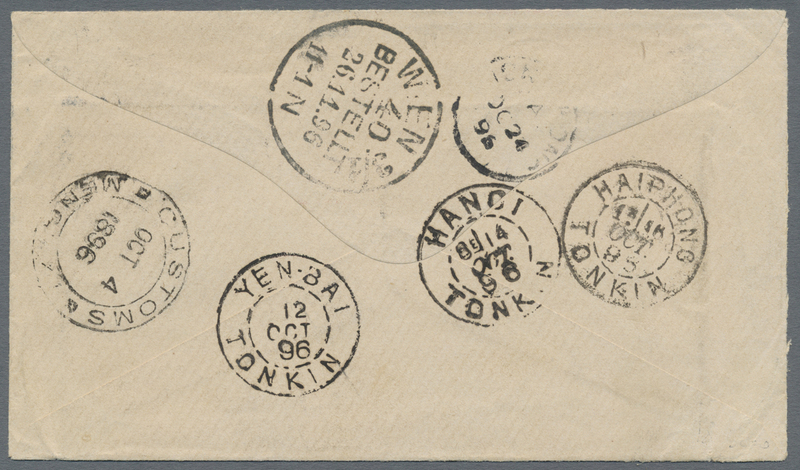 Six different transit and arrival marks on reverse. 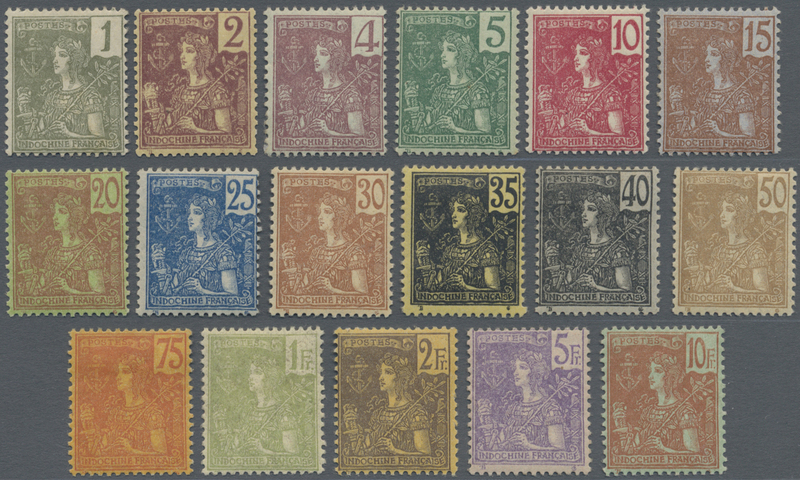 Rare mixed franking of attractive appearance!